Marcella's passion for sewing started at a young age. She mended stockings with her sisters to help their mother. In her late twenties she opened her own dress shop. After starting a family she decided to close her business to focus on raising her children. Yet making time to keep her career going by seeking work in high end male attire and tailoring shops. 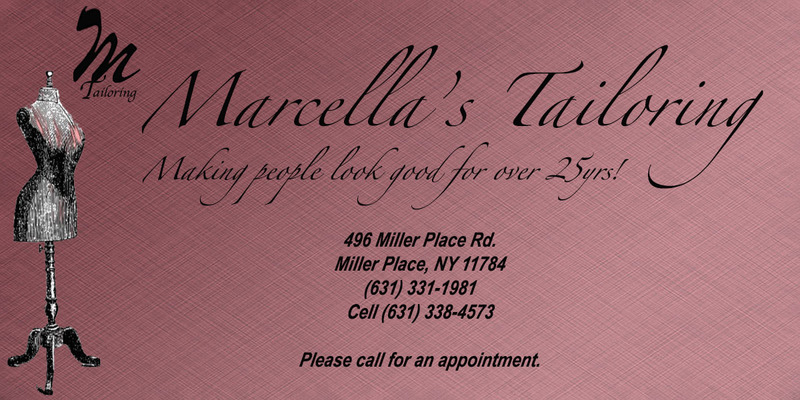 Over 30 years of experience, she can alter almost anything; from baby clothes, to bathing suits, jeans, shirts, to leather pants, or fabrics that have been damaged that you cant just throw away , Marcella can mend to make your favorites look like new again. Please call to ask if there is someting you need done that is not listed here. Maybe we can do it.